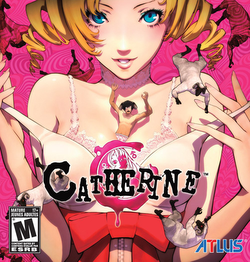 Catherine, a puzzle platformer adventure game, gives players control of Vincent Brooks, who suffers from nightmares driven by his girlfriend Katherine’s pressure for commitment. His situation becomes more convoluted he embarks on an affair with a girl named Catherine, leading to escalating nightmares. The main story mode, Golden Playhouse, addresses Daytime and Nightmare scenarios. During the day, Vincent socializes with friends and tries to juggle his relationships with Catherine and Katherine. Most of this gameplay is set in the Stray Sheep bar as Vincent texts, talk to customers, drinks, plays an in-game mini-game called Rapunzel, and listens to music from other Atlus games such as the Persona series.